Enjoy savings of up to 50 percent or more on the cost of private air travel with empty leg flights from Washington DC Jet Charter! Call us 24 hours a day for direct access to over 10,000 private planes based at airports surrounding DC and across the country. We make it simple to find an empty leg that matches your flight to/from Washington DC! Just give us your trip details, including dates, times, and preferred airports. Our brokers will search the market for an empty plane that you can book at a substantial discount! Whether you’re looking for empty legs to DC, or transient planes flying out of the capital, let us connect you with the best deal by renting an empty leg from Washington DC Jet Charter. Call +1-888-987-5387 for more details on how you can save up to half off (or more) on the cost of private flights! How are Empty Legs created? When a plane is scheduled the fly without any passengers on board, these are referred to as empty legs, or ‘deadhead’ legs. These flights take place when a plane needs to re-position, whether its returning home from a one-way, picking up passengers for it’s next mission, or moving for scheduled maintenance, owner usage, and other reasons. Return legs are typically included in the price of one-way flights, as they are not guaranteed to sell. They are then heavily discounted to attract savvy jet travelers looking to reduce their charter cost by 20, 30, even up to 50 percent off the price of regular jet rentals. Transient planes are scheduled to fly back and forth from DC every day, and new deals pop up as flights get booked to/from Dulles Airport. To find the best one for your flight, you need to be able to see the schedules and routing for all of the transient jets in your area. You can search on your own, but operators only display empty legs within their fleets, and sometimes, they aren’t truly empty, only marketed that way to capitalize on the market. Demand for empty legs is high, but availability is low and the time frame in which they’re offered can be very small. What’s the best way to locate empty leg deals in DC before they disappear? Request a quote for an empty leg from San Francisco Jet Charter! Our systems allow us to view aircraft in the DC-area and across the country, finding you the perfect jet at an amazing price. And, we can compare the cost of empty legs from different providers, getting you the best deal every time you fly. When you have flexible dates and times, you’ll enjoy more options and greater potential for savings. Aircraft schedules are constantly changing as flights are booked, and the more dates and places we can look, the better the odds. Even if we can’t get you into a transient plane to/from DC, we still offer top of the line jet charters with the most competitive rates in private aviation. Whether you’re looking for a one-way flight to New York, Boston, Miami, or Atlanta, or a deals on flights international flights across the Atlantic, let our team connect you with an empty plane and save on the cost of private jet charters! 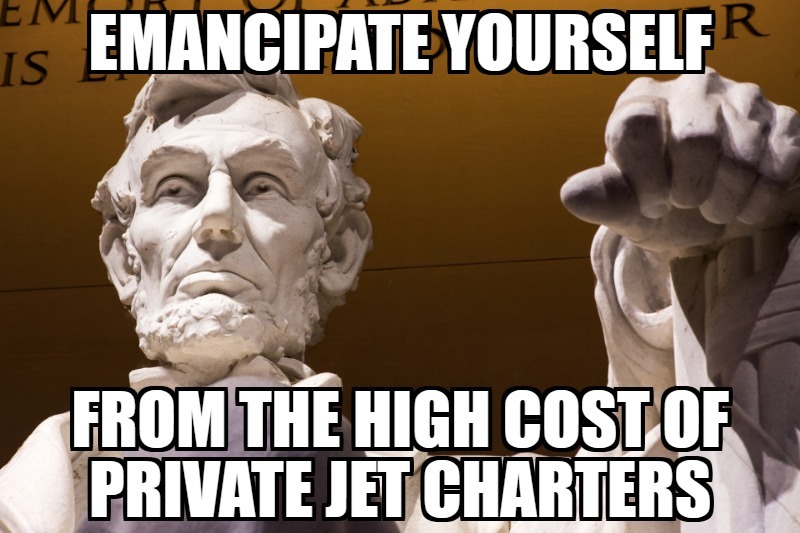 Our company offers 24 hr air charter services in DC no matter where you’re located. Our quotes are fast and free, and there’s no commitment to book with us, making it easy to request an empty leg flight to/from Washington DC!